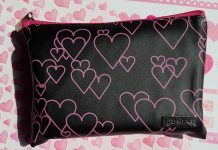 Today I am going to unbox my this month’s Fab Bag which I received yesterday. 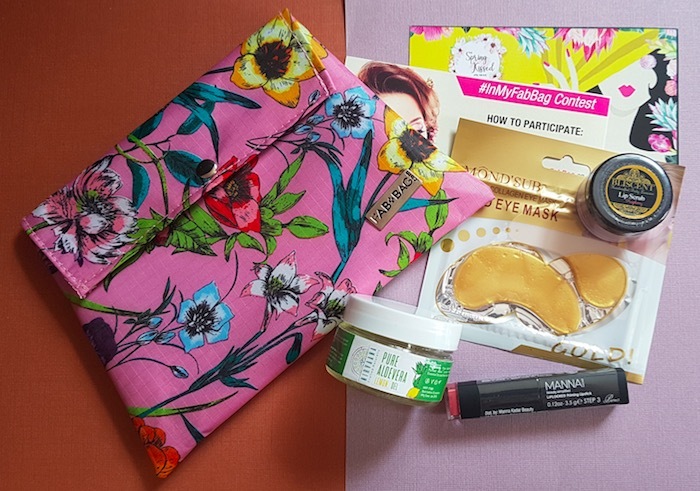 This month’s theme is ‘The Spring Kissed April Fab Bag,’ and it contains four products. 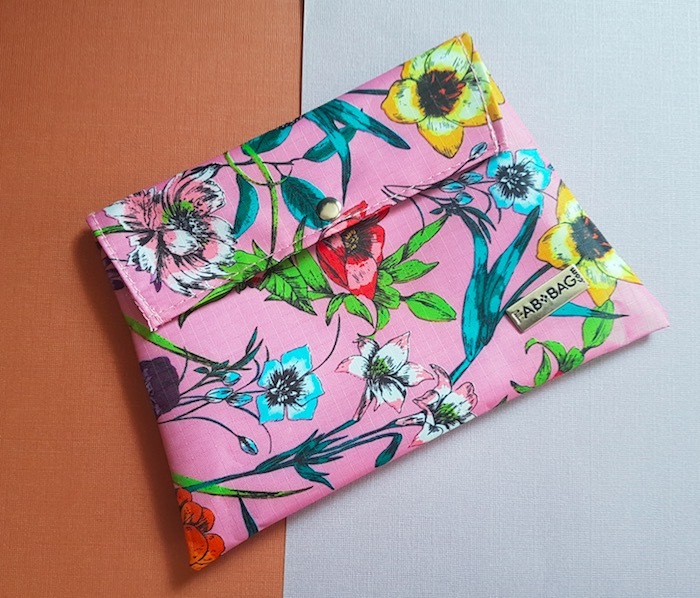 First, let’s talk about the pouch, I received a pink clutch style pouch with floral pattern. There are three more colour variants, and you can receive any one. 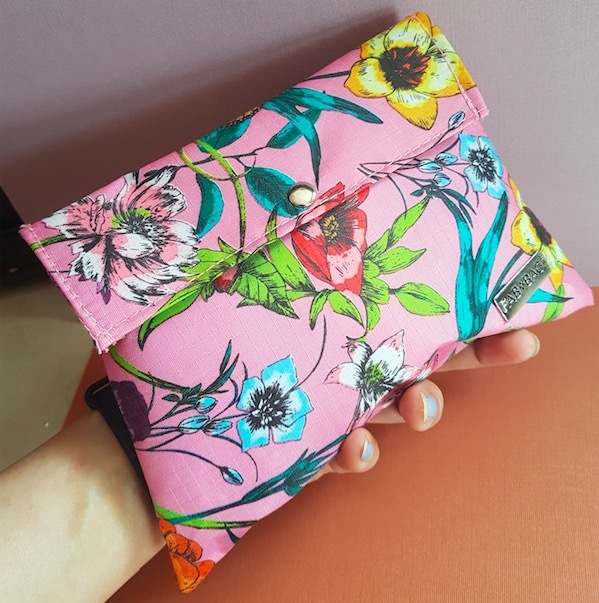 Personally, I’m not a fan of such kind of prints, so I wasn’t very excited about the pouch this month. 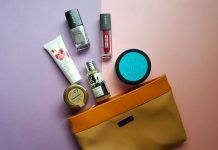 Now let’s see which products I got in my April month Fabbag. 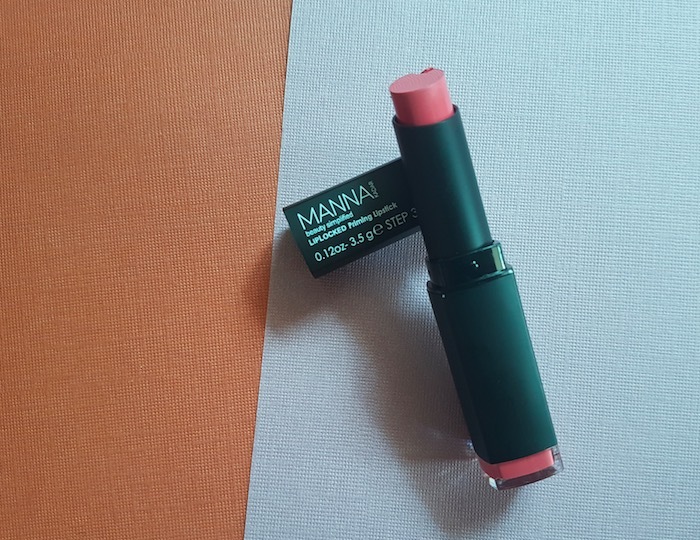 Manna Kadar Lip Locked Lipstick: It was a self-chosen product, and I chose the shade Serenity which is beautiful mauve pink colour. It has a creamy soft texture and gives semi-matte finish on the lips. 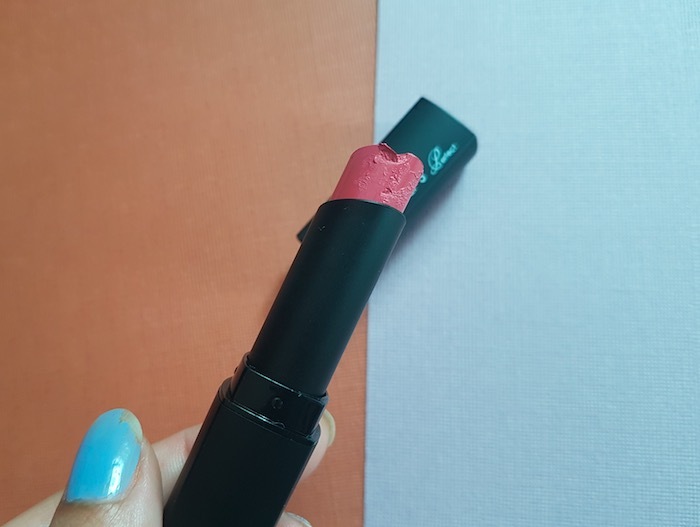 It is a gorgeous lip colour that you can wear on an everyday basis. But sadly, it came slightly broken from the top :( Price – Rs.1799. 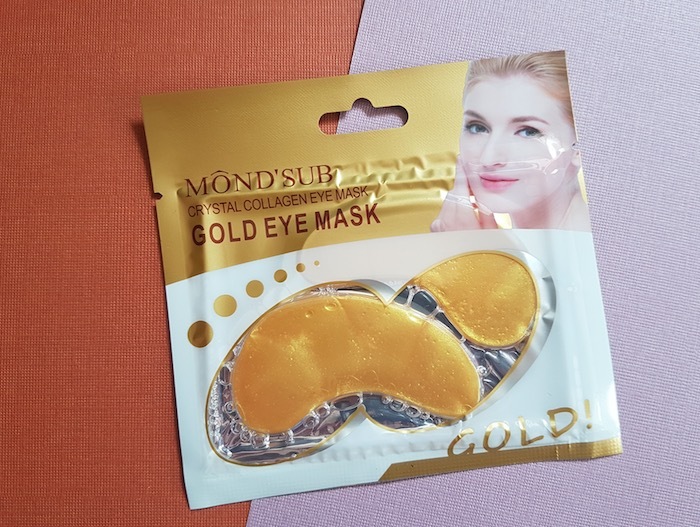 Mond’Sub Collagen Mask: The second product is this crystal collagen gold eye mask. It claims to provide deep nourishment and hydration to the dull and dehydrated under eye area. I received a few Mond’Sub masks in my previous bags too and liked using them. It looks quite interesting, and I’ll surely give it a try. Price – Rs.200. 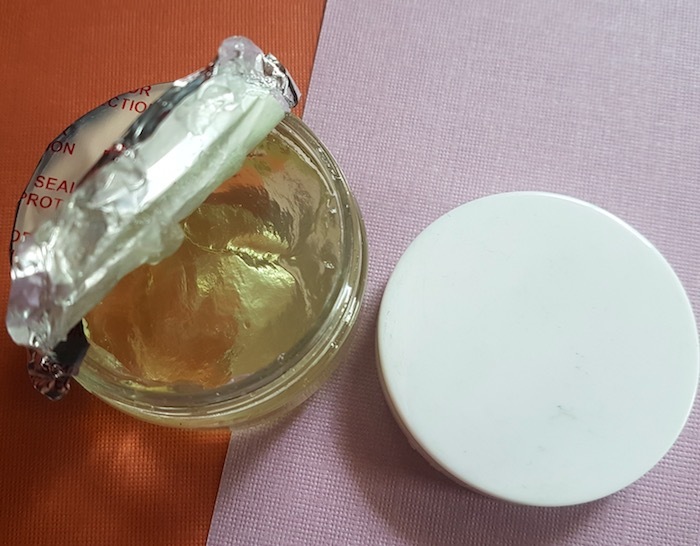 Nirvaana Handmade Pure Aloe Vera Gel – First off, the jar was not adequately sealed and secondly, it has a strong soapy smell. I’m a bit skeptical about this product and am not sure whether I’ll use it or not. I don’t like skincare products that have strong artificial scents. Price – Rs.50 for medium size jar (quantity is not mentioned in the jar). 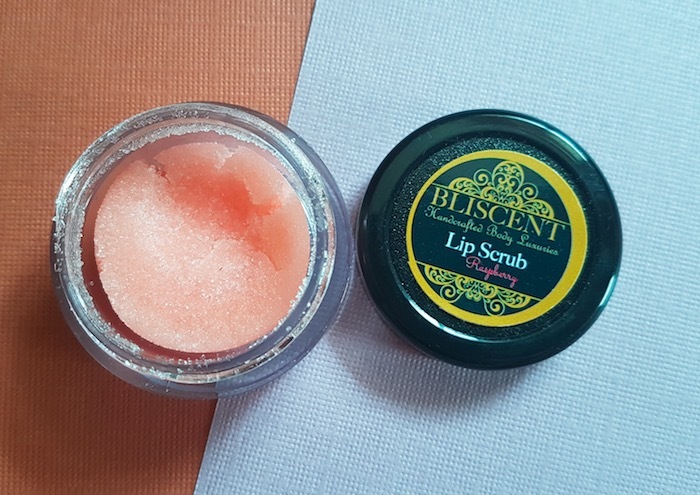 Bliscent Lip Scrub – The last product of April Fab Bag is the Raspberry lip scrub. I tried it once and am quite liking it. It exfoliates the delicate lips skin nicely without causing any irritation. The bag contains a 10g jar of the scrub that will easily last for 15-20 usages. Price – Rs.200 for 20g. 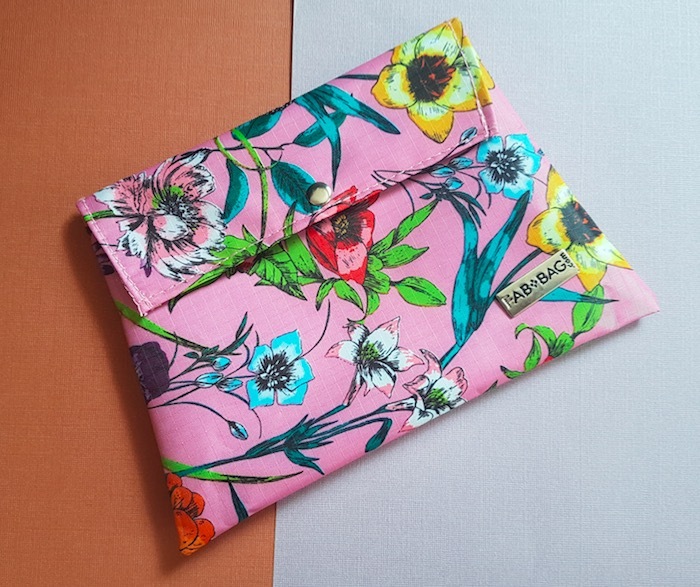 Overall, it is worth buying April Fab Bag as it contains an excellent variety of product and you will also get a cute floral pouch. It is undoubtedly value for money, and if considering the MRP, the lipstick only is the three times the price you pay for the bag. 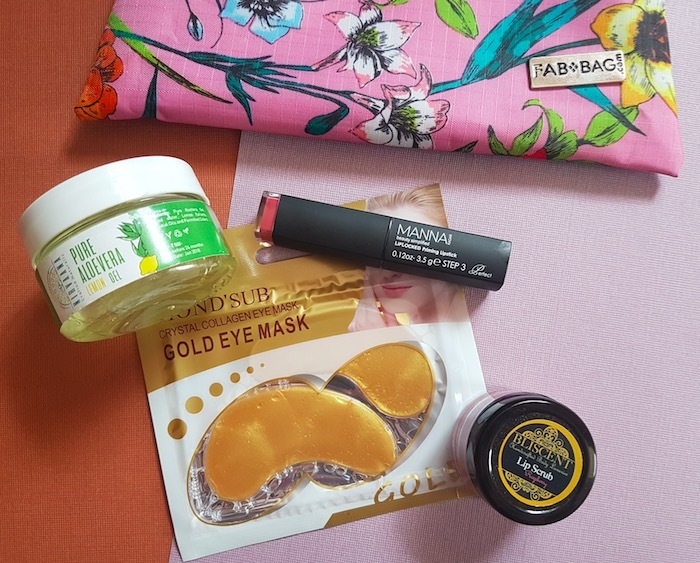 My favourite product surely is the lipstick, but eye mask and lip scrub are also of good quality. 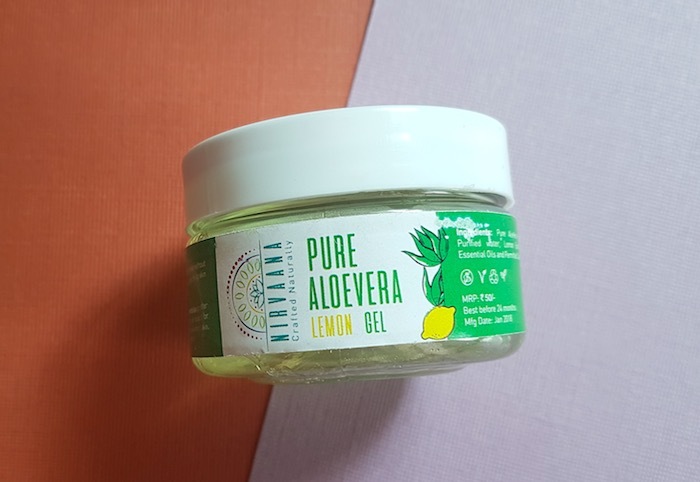 The only product that I didn't like is the aloe-vera gel. I'll recommend purchasing the April Fab Bag.